Aim: CCAFO develops the programs based on the need for pre-education services provide to children, who are living in the rural area. More important, the program aims to reduce the workload of vulnerable households, especially widows, persons living with HIV/AIDS and Persons with Disabilities who have low income, so that they can be involved in income-generating activities. The Ministry of Education, Youth and Sport of the Royal Government of Cambodia states that the expansion of early childhood education is a key strategy in addressing late entry into primary schooling, reducing levels of grade 1-2 repetition and grade 4-6 drop out, increasing completion rates and improving student performance. Early childhood education provision for 5 year olds will provide better preparation for students upon entry to primary education and help to encourage entry at 6 years of age. Primary services of the programs include: 1) Providing vulnerable children with pre-school classes for those ages three to five; 2) Preventing child trafficking and oppression; 3) Building up knowledge prior to attending primary schools; and 4) Combining supplementary nutrition, drinking water, basic oral health care and referral for medical treatment. 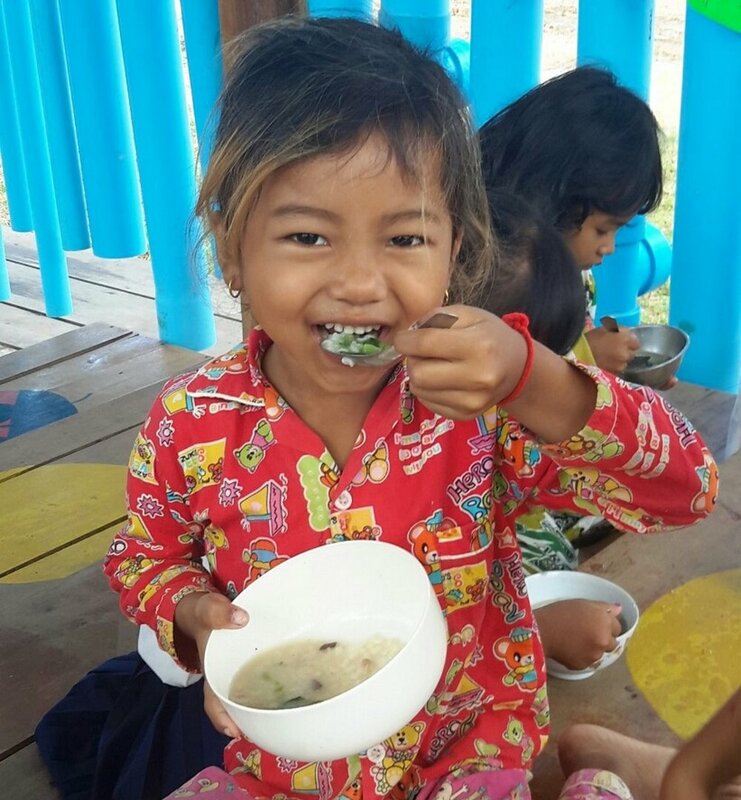 CCAFO is currently running 15 different villages based preschools (10 preschools in Banteay Meas District, 2 preschool in Kampong Trach District, 1 preschool in Chhuk District, 1 preschool in Chum Kiri District, Kampot Province and 1 preschool in Oudong District, Kampong Speu Province). For details of these preschools, you can go to their webpages. Thank you! Uploaded by Cambodian Children's Advocacy Foundation CCAF on 2018-08-10. May 27, 2013: This clip shows the short practicing of the song that related to educational, which teachers need to perform with students. June 1, 2013: At the CCAFO Paurn Village Based Preschool, Banteay Meas District, Kampot Province, Teacher Tuy Sony, and students perform special game "taking good care [meaning: you have to ensure that you take things with the careful". June 1 is the Children Right Day. CCAF Preschool Project, a completed set up if we have fund to cover the activities that are highlighted in this video clip.